The new Aston martin DB11 is now official, the car was announced at the Geneva Motor Show and it comes with a 5.2 litre twin turbo V12 engine that has 600 horsepower and 516 lb-feet of Torque. This gives the new DB11 a 0 to 62 miles per hour time of just 3.9 seconds and a top speed of 200 miles per hour. 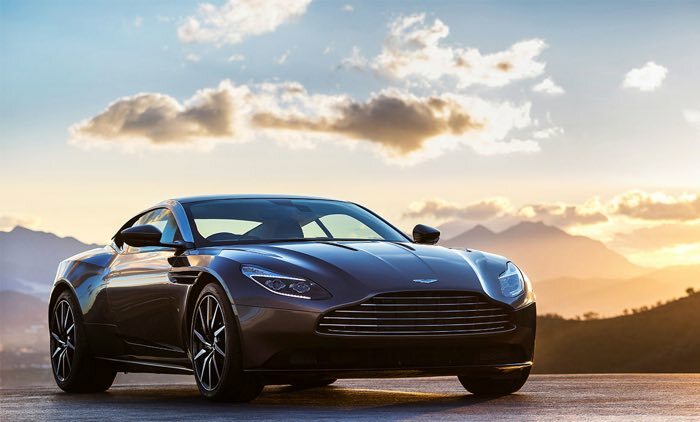 The DB11 showcases a fresh and distinctive design language, pioneering aerodynamics and is powered by a potent new in-house designed 5.2-litre twin-turbocharged V12 engine. Built upon a new lighter, stronger, and more space efficient bonded aluminium structure, DB11 is the most powerful, most efficient and most dynamically gifted DB model in Aston Martin’s history. As such, it is the most significant new Aston Martin since the introduction of the DB9 in 2003. You can find out full details about the new Aston martin DB11 at the link below, prices will start at £154,900.